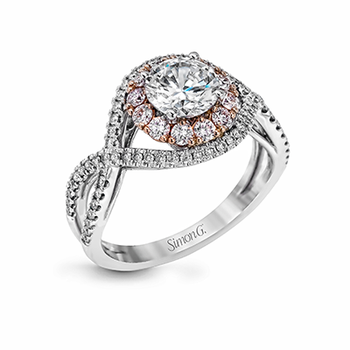 Fromt the Seasons by Shelly Purdy collection. 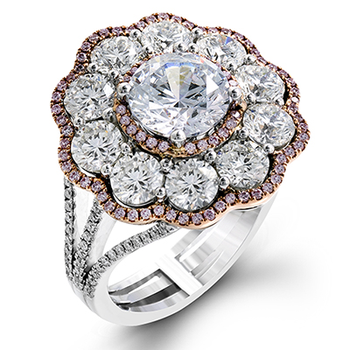 Representing love, life, peace, and purity, the water lily symbolizes perfectly eternal devotion. 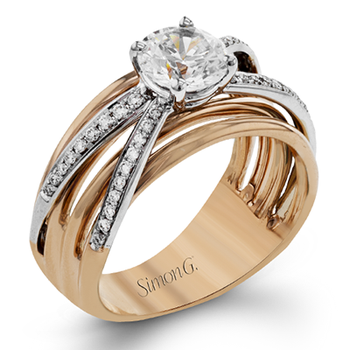 A round brilliant-cut Canadian centre diamond scintillates within a double halo crafted from 18k rose Canadian certified gold and 18k Pure White™ gold. 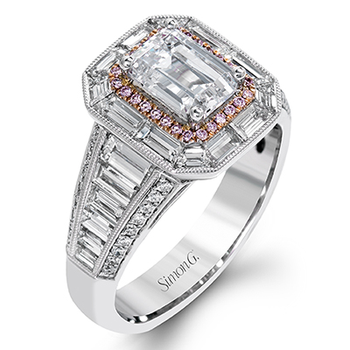 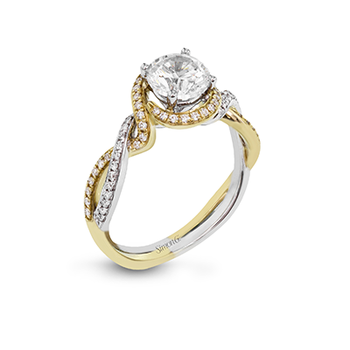 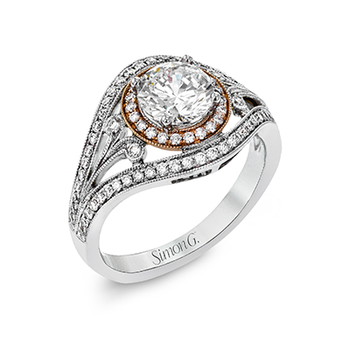 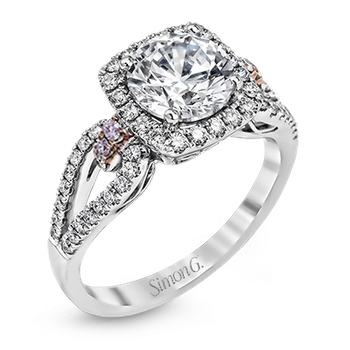 Diamond sides add even more fire and brilliance. 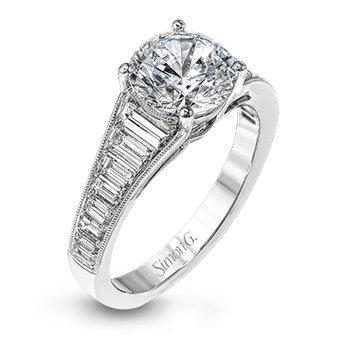 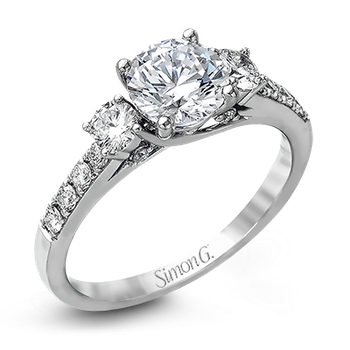 Available with a total diamond weight of 1.57 and 1.32 carats.